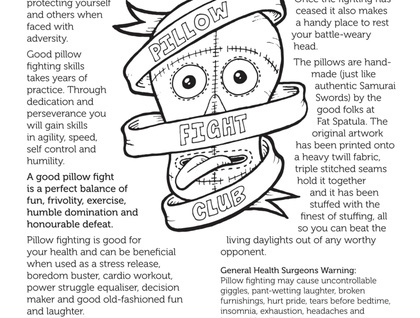 The ancient art of pillow fighting is, like any good martial art, based on a system of protecting yourself and others when faced with adversity. Good pillow fighting skills takes years of practice. Through dedication and perseverance you will gain skills in agility, speed, self control and humility. 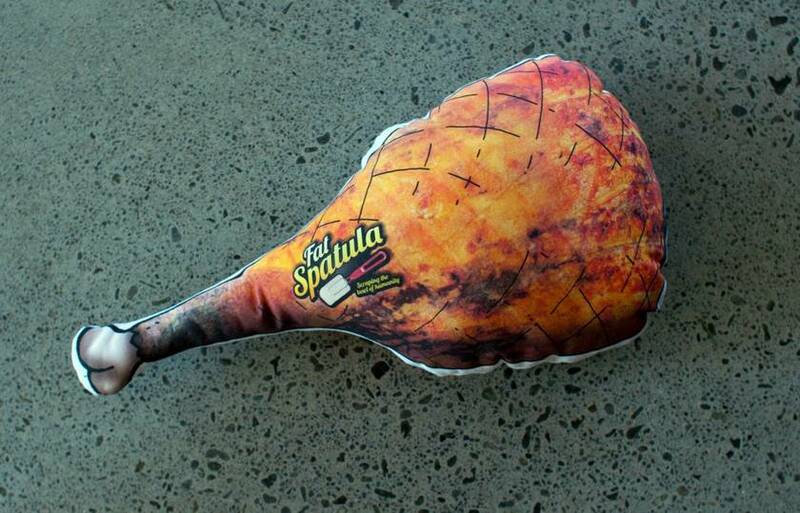 The pillows are hand-made (just like authentic Samurai Swords) by the good folks at Fat Spatula. 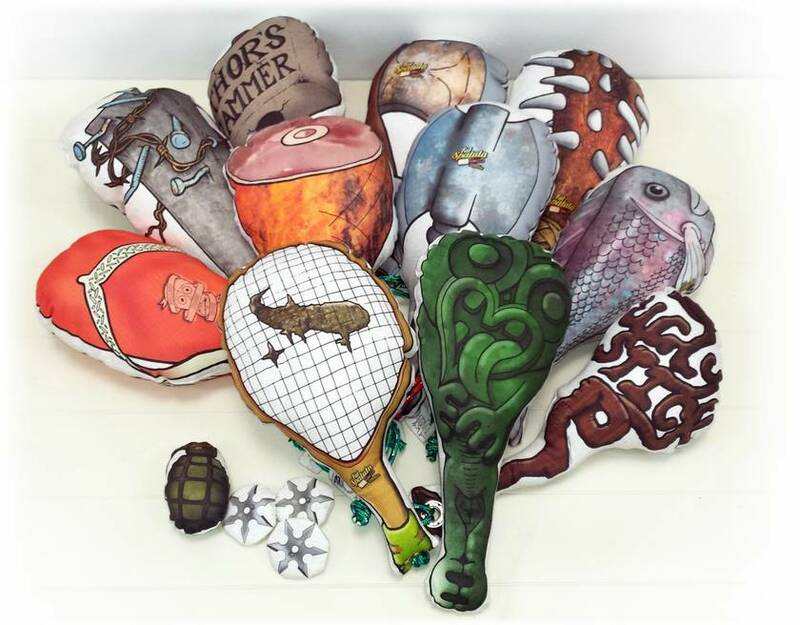 The original artwork has been printed onto a heavy twill fabric, triple stitched seams hold it together and it has been stuffed with the finest of stuffing, all so you can beat the living daylights out of any worthy opponent. Each pillow is roughly 42cm high by 18cm wide. Eyelets and cord may vary from that pictured. 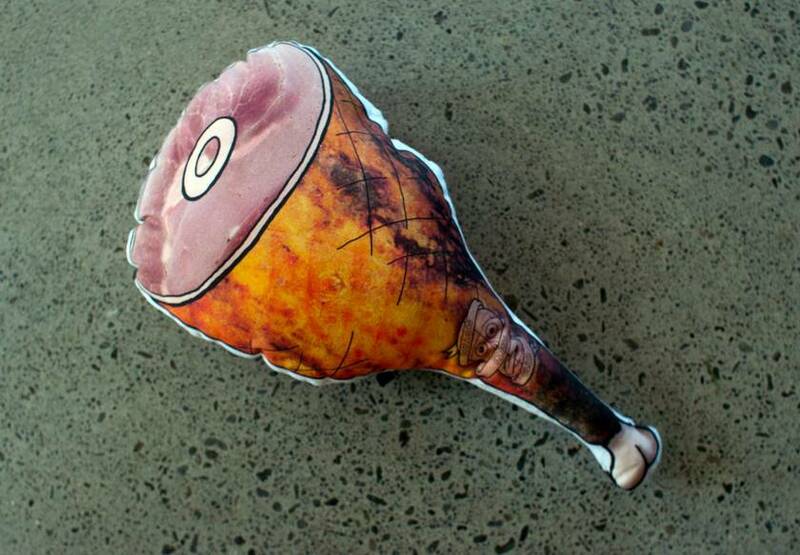 Check out the other Pillow Fighting Cushions in the series.